Today’s guest post shows that an extended amount of time “off” for a freelancer is really a time of nurture so that when you’re back “on” you’re in a much better state to work. Our guest contributor Melanie Bell is the coauthor of The Modern Enneagram: Discover Who You Are and Who You Can Be. What better time of year to grab a copy of her book and reflect on a year gone by and the shiny new one ahead. When I’ve had steadier, location-based jobs, my earnings were predictable. Freelancing varies, and income with it. In certain months, particularly in autumn and late spring, my schedule fills up and I’ll budget extra hours in to take on extra clients. The longer you work in the field, the more predictable the ebbs and flows become. I’ve found adapting to seasonal flow to be important – the work I put in during the “feast” times allows me to save up money for the “famine” times. These savings, along with a commitment not to overspend at times when the money comes easily, helped me through a project-less month financially. Set and meet business goals. My slow time allowed me to take a macro view of my writing/editing business, reflect on how I was doing, and set goals. Looking at my client list over the past year, I saw that my focus has moved from the writing coaching work I was initially excited about to an income model based primarily on editing, with supplementary writing projects. Repeat clients and referrals were enthusiastic about my skills, but my website and social media presence reflected a business model that wasn’t quite “me.” I spent a good chunk of my free month redesigning my site and online presence to reflect the skills that people most often hire me for – a move that has worked well. Lean times have also been useful for making business plans, as well as setting and pursuing focused, achievable objectives for growing my client list. I pursued these objectives through networking and pitching. 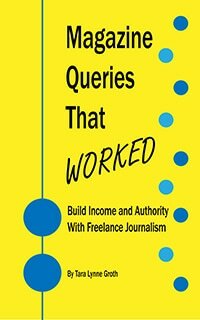 I wanted to connect with more publishers for whom I could take on projects, so I researched different presses and reached out to them. I also signed up for a writers’ conference in my local area, where I met a publisher for whom I now edit and evaluate manuscripts. I also sought to place my writing. I began submitting older work, some of which now “lives” in a stack of anthologies on my dresser. I also identified topics I could write about and pitched them to targeted publications – you are reading the result of one such pitch now! I don’t know about you, but I didn’t become a writer and editor because I loved doing administrative work. However, admin is a big part of running your own business, and downtime in your primary work leaves freelancers with time to complete these necessary tasks. My tax season was approaching, so along with budgeting and other back-end tasks, I devoted some of the month to getting taxes done. Now for my favorite part of having a month without projects: getting to work on my own! I’d been writing the first draft of a novel for several months, and now I had the time to get more done, more quickly. I had been attending two local writing groups off and on, but with a leaner schedule, I began going regularly. These groups offered both targeted feedback and new friendships. A month without projects isn’t necessarily a bad thing. There’s a lot you can do during that time to move a freelance career forward. You might even find, like I did, that it’s one of your most productive times of all! Melanie Bell is a writer, editor, workshop facilitator, and coauthor of The Modern Enneagram. Her writing has appeared in various publications including Cicada, Autostraddle, and Grain. Melanie blogs at Inspire Envisioning, tweets @InspireEnvision, grams @inspire.envisioning, and you can find Melanie on Facebook.